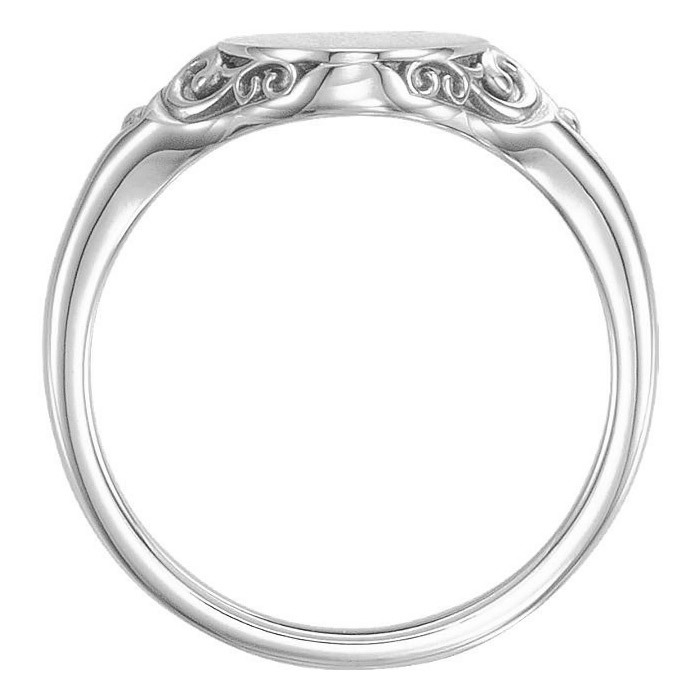 If you are looking for a ring that is perfect for engraving or personalizing, the paisley scroll signet ring in 14K white gold from Apples of Gold Jewelry has a lovely paisley swirl design and plenty of space! The highly polished band of this ring measures 2.3mm in size, while the face is a satin brush finish that measures 13.4mm by 9mm in size. You can choose the optional engraving for this ring to create a single letter initial in unique fonts like Old English, Block or Script on the face of the ring, making it your own custom ring. Please note: if you choose a SCRIPT Font, the letters will have a slight angle to them because of the script font style. This is normal, based on each font style that you choose. 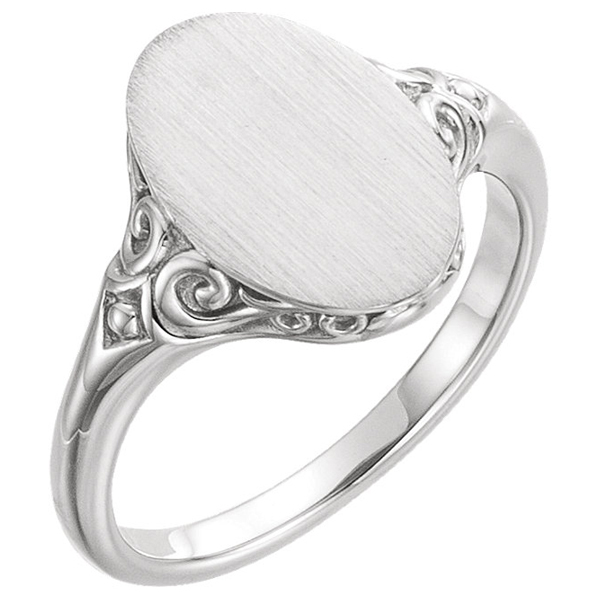 We guarantee our Paisley Scroll Signet Ring, 14K White Gold to be high quality, authentic jewelry, as described above.